Animated gifs of men, women and children fishing. 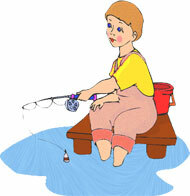 Also included are clipart images and photographs of fishing gear and tackle. 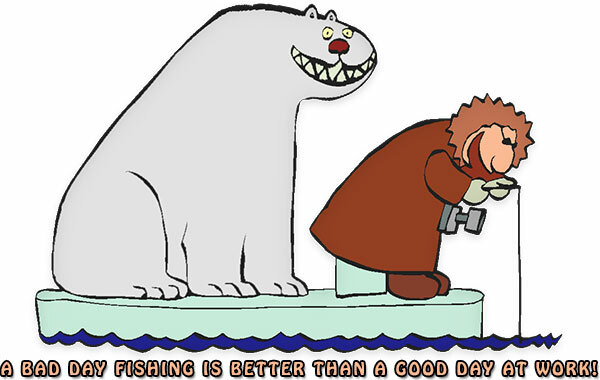 However, as I'm fond of saying, "a bad day fishing is always better than a good day at work". Even when the fish get the better of you. Remember, there are surprises under that water just waiting to say hello. 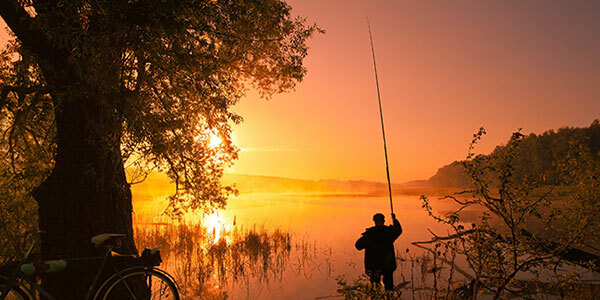 Man with fishing pole on the river looking for the best spot photo image. Girl fishing from a dock animation. Dock fishing for big ones. Scoop net for the big ones. 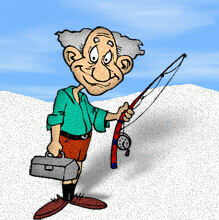 Ice fishing image has transparent background with a white matte for light and white websites. Green fishing lure with 3 sets of hooks. Catching a nice one while fly fishing. Even though we all know a bad day fishing is better than a good day at work, it is always a good idea to watch your back. Man and woman fishing from a small boat animation. 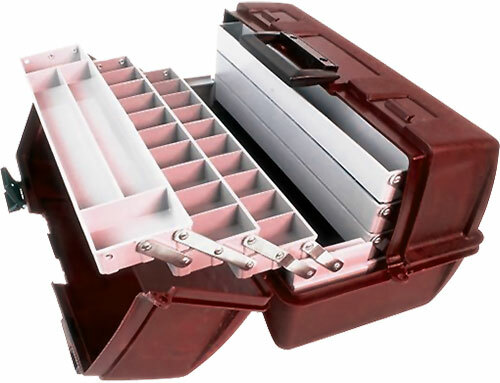 Tackle box with room for plenty of fishing gear. Grandpa with rod, reel and tackle box. This fish may be too big for the boat. At least she looks friendly. I'd rather be fishing at this lake than sitting at this computer. I hope that doesn't get me fired... Of course, if it does then I can go fishing. 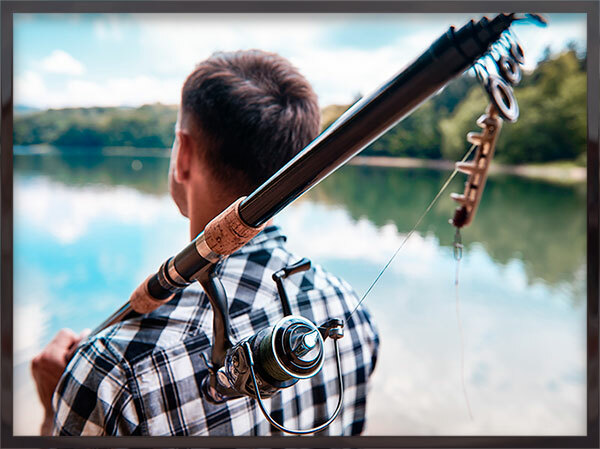 To use our free fishing clipart, please save give us credit. Thank You. 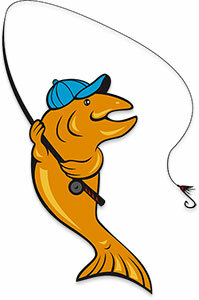 You may use our funny fishing clipart on your non profit personal websites, school projects or online community web pages.